Attorney General Eric Holder and Obama are both lawless men. Holder’s new committee will likely target Christian conservatives based on their speech or thoughts that are opposed to Obama’s leftist political agenda. After all, Obama promised that he would reward his friends and punish his enemies. So, will Holder prosecute people because they have anti-government thoughts or are racially biased? Eric Holder, of course, oversees one of the most corrupt agencies of the federal government: The Department of Justice. The DOJ has become a hotbed of racialist political activists and supporters of Islamic supremacism in American culture. 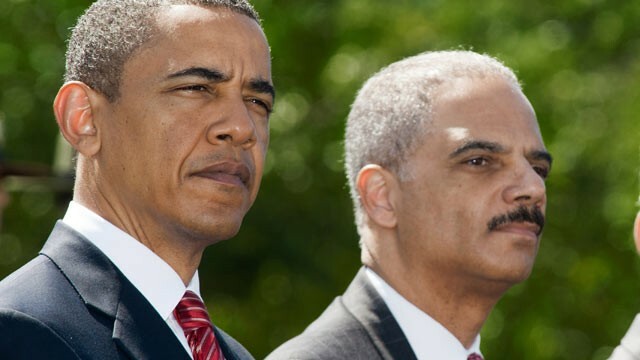 Learn more about Holder’s racialist DOJ from J. Christian Adams’ book: Injustice: Exposing The Racial Agenda Of The Obama Justice Department; Now thought crime is terror in U.S.?